Tallow is an oil that has been used in soap making for hundreds of years and creates a far superior soap to an all vegetable bar. Soap made with tallow creates a bar that is conditioning to the skin with a lovely, creamy lather. Most importantly, this bar will be hard and long-lasting compared to an all vegetable bar. 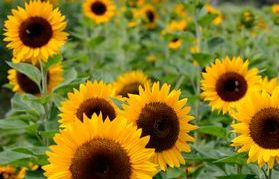 Sunflower Oil has a high amount of essential fatty acids and Vitamin E. This particular oil produces a lather that is incredibly conditioning to the skin. Coconut oil is a super cleansing addition that produces big, copious bubbles. 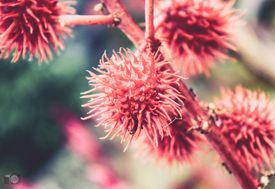 This thick and viscous liquid is extracted from the Castor Bean Plant and has a slight but distinctive smell. It behaves like a humectant, meaning it draws moisture from the air onto the skin. It provides a stable, lush lather, used to contribute to the thick and large bubbles in our soap bars. Mud 'n Suds uses only all natural colorants (such wheatgrass powder, annatto seeds, cocoa powder) in the 'all natural and goat milk bars, or pigments that are generally accepted as 'all natural' because they are 'nature-like.' 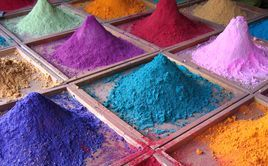 Pigments that are naturally occurring in nature also includes many toxic or unhealthy 'extras.' The mineral pigments I use are created in a lab to be an exact replica of the natural alternative, but without those unhealthy additions. 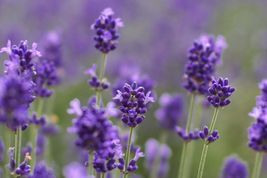 In our all natural bars, we use only top quality essential oils for our soaps. The oils are chosen for their pleasing scent, but also for their individual benefits for the user. Our Artisanal bars may use fragrance and/or essential oils. These oils are chosen specifically to convey a specific scent stemming from some inspiration for its creation. All of the fragrance oils used are phthalates free, sulfate free, dye free, and paraben free.